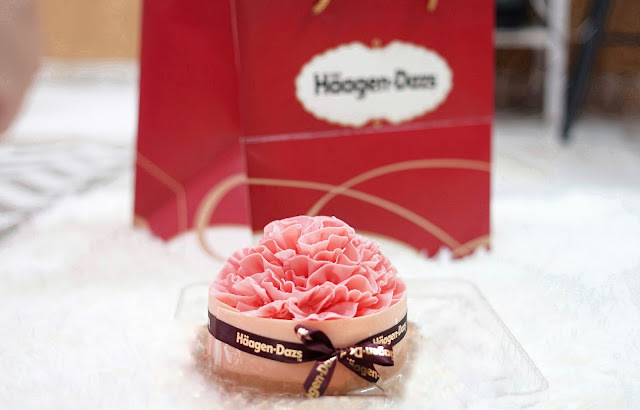 Since Mother's Day is around the corner, Haagan-Dazs is having a limited edition Mother's Day Carnation Cake which is soooo pretty! It's a luscious belgian chocolate ice cream wrapped with white chocolate and decorated with strawberry chocolate carnation petals. Yums. Shared this cake with the whole family and even the kids enjoyed the cake. The belgian chocolate ice cream is so creamy and delicious. Don't forget to try Haagan Dazs now for this special cake.